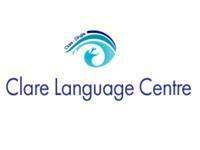 We have been teaching English for over 20 years to students from all over the world. We welcome adults, teenagers and children to study here in our school. We pride ourselves on our small class numbers and our communicative approach to teaching English. Due to the popularity of our Junior Summer programme we have opened a Summer centre in Kinvara, County Galway and in 2016 we are launching a residential centre in the beautiful Dingle Peninsula. We are based in Ennis, County Clare in the West of Ireland along the world famous Wild Atlantic Way. Lonely Planet cited 2015 as the year of the Wild Atlantic Way, and it is literally on our doorstep, the world famous Cliffs of Moher are just 30 minutes away! Our nearest airport is Shannon, just 20 minutes away and we are approximately two and a half hours from Dublin airport. With over 20 years experience as well as small classrooms, we pride ourselves on quality courses. Irish people are known for their friendliness and hospitality and especially so in the West of Ireland. Our host families are fantastic and are all personally known to us. The town of Ennis has only 30,000 inhabitants so it´s safe and secure and you can walk anywhere easily. Our teachers are all qualified EFL professionals from English speaking countries. Our business courses typically focus on the English business people need for the following tasks: negotiations, presentations, meetings, telephoning, e-mail and fax writing. We assist our clients to develop and use appropriate English language for making arrangements, expressing opinions and making suggestions. If necessary we also help our clients with the technical terminology for their job. Our approach is to tailor the course to the student’s specific needs and preferred learning styles. The following is a brief description of how we rise to meet the challenge of Business English at the Clare Language Centre.